Betula pendula is commonly known as the European birch. The fine, weeping branches of the tree as well as its beautiful autumn color make it a wonderful addition to your landscape design. The European birch is susceptible to a few diseases: canker disease, dieback and Marssonina leaf spot. The European birch is hardy in zones 3 through 6. This ornamental tree is often used as a shade or specimen tree near a deck or patio. It can reach a height of from 40 to 50 feet, and a spread of from 15 to 25 feet. The silhouette of the European birch is irregular, and the pyramidal, oval shaped crown has weeping branches. Growth rate is medium; it is a finely textured tree with white bark, which adds interest to the landscape. Leaves are green during the growing season, changing to yellow in the fall. It requires full sun and will tolerate most well-drained soil. 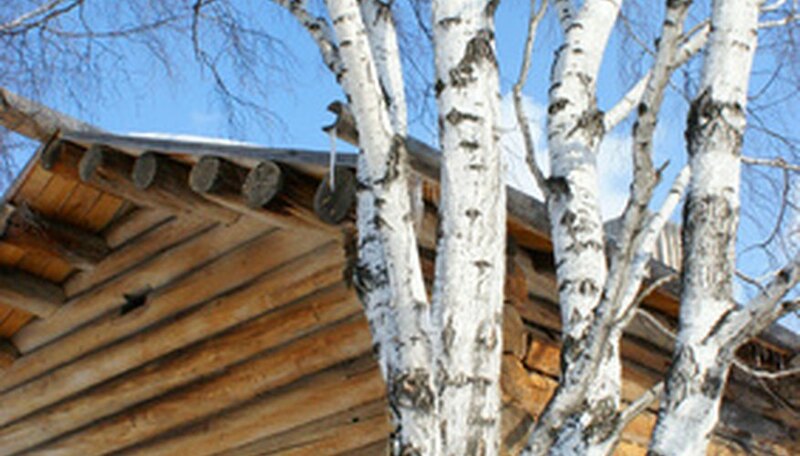 The European birch is susceptible to several canker diseases. Canker diseases are caused by fungi. The canker disease infects and kills the sapwood of the birch tree, creating sunken areas on the trunk and large limbs of the tree. There is no cure for canker diseases--there are no chemical controls. The best defense against canker diseases is to maintain a healthy tree through watering and fertilization. It is also important to avoid wounding the tree, as wounds provide an entry way for disease. A stressed tree is also more susceptible to disease. According to the University of Illinois, the European birch is susceptible to Marssonina leaf spot, a fungal disease. This infection generally begins in early spring when the tree is beginning to bud. Spores are spread to the emerging leaves, and by mid- to late-July you will notice brown spots with yellow rings around the spots appear on the leaves. Spots may come together, forming a large brown leaf spot. Some leaves might fall off the tree prematurely. Severe cases of leaf spot can defoliate a tree. Once the symptoms appear, it is too late to do anything about leaf spot--fungicides will not be effective. Leaves should be raked up and disposed of. Leaf spot will not kill the tree but it is unsightly and it will cause stress. If you have had a severe case of leaf spot in one growing season, the best defense (so that it does not recur) is to apply a fungicide in the spring of the next season, when the buds first begin to appear.